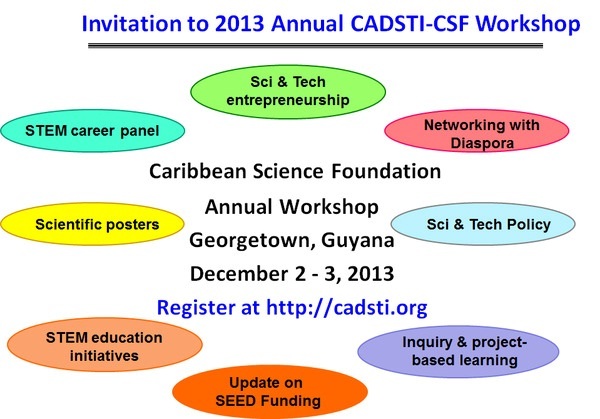 The Third Annual Caribbean Science Foundation Workshop was held in Georgetown, Guyana on December 2-3, 2013 in collaboration with the Ministry of Education of Guyana and the Caribbean Diaspora for Science Technology and Innovation (CADSTI). or contact Prof. Cardinal Warde at warde.csf@gmail.com. By caribbeanclimate in News on November 30, 2013 .